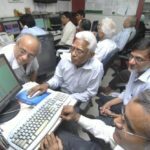 Novice investors who obediently cloned Mohnish Pabrai’s stock picks have bulging bank balances today. “The stock has tripled and it will keep going for a while,” Mohnish said in June 2017 in his trademark drawl at the Google HQ. Mohnish was sending his fans a subtle hint that they should tuck into Rain Industries without further delay. 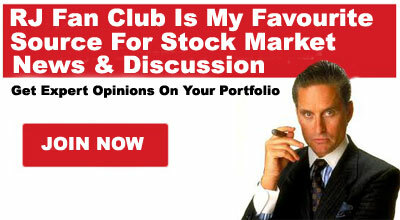 However, as is their wont, some novice investors stared at him without comprehending. So, Mohnish made it even plainer. “I put 20 million of Pabrai Funds into the Company (Rain Industries). It is now worth north of 50 million. 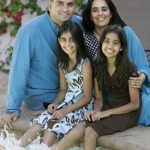 I think we will probably get 100 million or even 200 million out of it,” Mohnish said (@ 53) whilst addressing the elite students of UCI Paul Merage School of Business in the University of California. It is explicit that Mohnish is hinting at 4x multibagger gain from the stock. Understandably, Mohnish Pabrai does not yet command the same degree of confidence amongst novice cloners that Dolly Khanna does. So, when Dolly made the grand entry into Rain Industries in July 2017 with a massive holding of 42,68,092 shares, everyone made a beeline to Dalal Street to tuck into the stock. Even the most dimwit novice knows that Dolly Khanna’s directives cannot be defied. This was sensible because the stock has surged a massive 84% since then. Now, the big news is that Dolly has increased her stake in Rain Industries from 42,68,092 shares as of 30th June 2017 to 68,77,710 shares as of 30th September 2017. 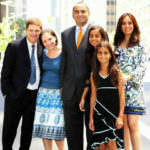 It is notable that between them, Dolly and Mohnish control 10.66% of the equity capital of Rain Industries. Is Rain Industries now the No. 1 stock in Dolly Khanna’s portfolio? Dolly’s holding of 68,77,710 shares in Rain Industries is worth an eye-popping Rs. 141.68 crore at the CMP of Rs. 205. Prima facie, it appears that Rain Industries has wrested the prestigious title of crown jewel of the portfolio from Manappuram Finance. However, we will have to await complete details of her latest holdings before we can come to a definite conclusion one way or the other. At this stage, we have to lament the wisdom (or lack of it) of the mandarins of mutual funds who thought Rain Industries was overvalued and decided to dump it. According to an investigation conducted by Jwalit Vyas of ET, mutual funds collectively held a treasure trove of 12.9% of Rain’s equity as of 30th June 2016. However, in an inexplicable move, they aggressively pared their holdings to just 3.8% as of 30th June 2017. The creditable aspect is that the stock was able to withstand the aggressive selling to post mammoth gains of 300% on a YoY basis. “Copying a mutual fund may not always be a good strategy,” Jwalit Vyas has rightly warned in a grim tone. 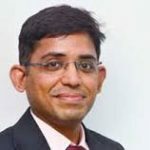 Rain Industries is still a “cheap” stock with more multibagger potential? According to Jwalit Vyas’ report, the company’s management expects things to be even better post the September quarter. “Our capacity utilisation will improve and we will be adding capacities“, Srinivasa Rao, the CFO, was quoted as saying. Rain industries apparently has a stranglehold over the market for calcined pet coke (CPC) and coal tar pitch (CTP). It is the World’s second largest producer and has a market share of 36 per cent and 48 per cent in the US and Europe respectively. It is obvious that this dominance over the market place gives Rain Industries the power to call the shots when it comes to pricing the product. It is also the lowest cost producer which means that all the incremental gains gush into the P&L account. Sensibly, the top brass of the Company is aggressively expanding capacity so as to make hay while the sun shines. The capacity of 2.1 million tonnes for CPC is being expanded by 20 per cent. The CTP capacity of 1.4 million tones is being increased by 15-20 per cent. The present capacity utilization which is below 80 per cent will be hiked to 92-95 per cent given the strong demand. Jwalit Vyas has also done number crunching and pointed out that the net profit of Rs 156 crore of the June 2017 quarter is expected to surge to a mammoth Rs 800 crore by December 2018. The cash profit is expected to surge to Rs 1,350 crore. The bottomline is that given that Rain Industries is presently trading at a market capitalization of Rs 5600 crore, the valuation is a mere four times the cash profit. To my untrained eye, these appear to be cheap valuations though my knowledge of valuations is highly rudimentary. 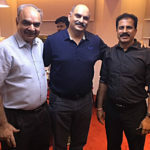 Mohnish Pabrai’s confident assertion that 4x multibagger gains are expected from Rain Industries coupled with Dolly Khanna’s aggressive hike in stake and Jwalit Vyas’ number crunching to prove that the stock is still cheap implies that even the fence sitters will have to dive into the stock ASAP! Monish pabrai increased allocation in sunteck reality from 1074221(June share holding patterns) to 8461285(September share holding patterns)….. which approximates to 160 Cr(final allocation including previous profit) this looks to be aggresive investment like he had done in rain industries.